With tension we are looking forward to the toy fair 2019, which is opened for the trade visitors from January 30th until February 3rd 2019. But while we're wondering which new products will approach us, the modelcar industry is giving everything and delivers as much as possible. The French from Norev remembered the winner of the 24 Hours of Le Mans in 1992 and 1993 and packed two modelcars into the deliveries of the last week, which remind us that not only Porsche and Audi at the Sarthe are included among the most popular winners: The factory team Peugeot Talbot Sport started in 1992 with the drivers Yannick Dalmas, Derek Warwick and Mark Blundell and took the victory; In 1993, Éric Hélary, Christophe Bouchut and Geoff Brabham repeated the success. 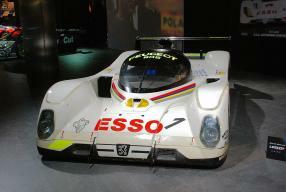 Both teams drove the Peugeot 905 Evo 1B. 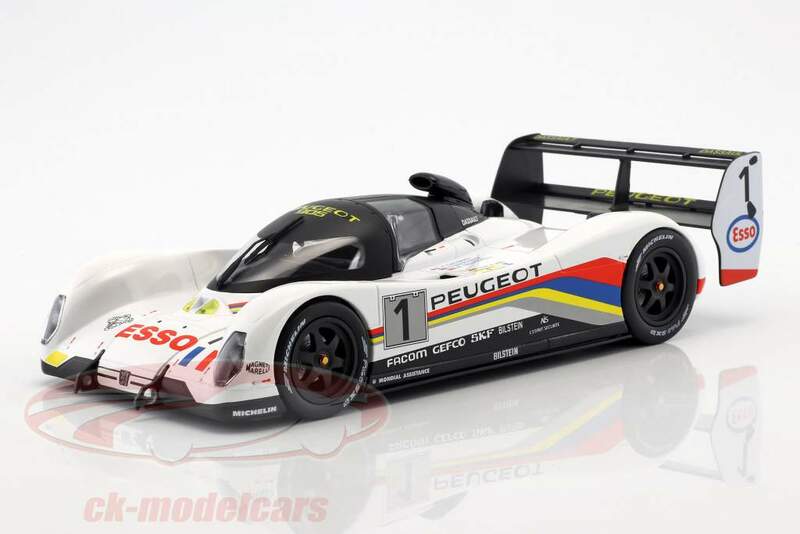 Norev has dedicated to this car two wonderful modelcars in scale 1:18 under the item number 184770 and 18477, which are produced out of diecast and perfectly match the lines and appearence of the successful role model. It reminds to the time when race cars did not have that many wings, compared to nowadays, which offers a clean surface. Norev of course painted them in very good processing quality; each supplemented by the slightly different sponsorship printing. Doors and hoods of the modelcars stay closed. 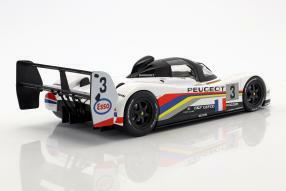 Therefore the price is excited, which enables, to close the gabs of the winners in Le Mans with low costs. The visitors of the Circuit des 24 Heures would have probably liked the locking of the sky. It had rained the whole weekend of the 20th and 21st June: 28 cars had taken part at the race infront of 176.000 visitors, only 14 finished. 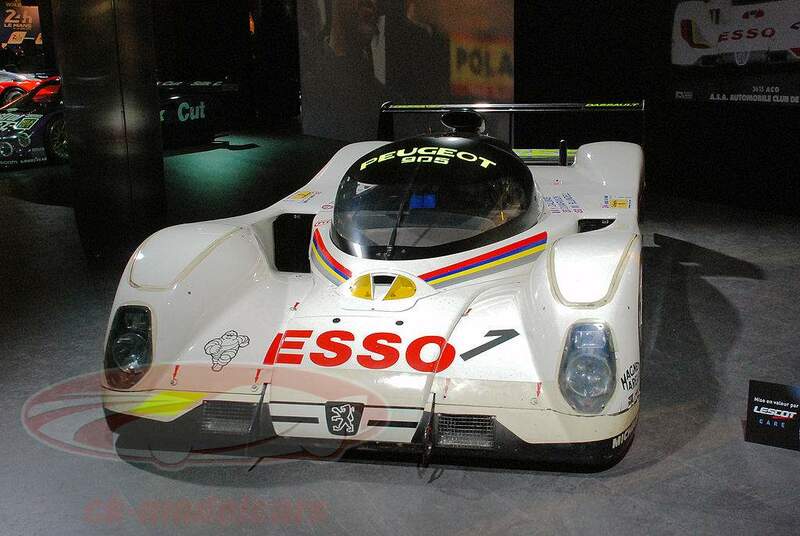 The victorious Peugeot 905 Evo 1B covered a distance of 4,787.2 kilometers in 24 hours for which it has taken 352 laps; on average 199.340 km / h fast. The car was originally powered by a V10, which developed from its 3.5 liters of capacity about 480 kW / 660 hp and has been revised for 1992. The chassis made of carbon fiber reinforced plastic contributed to the aviation company Dassault. In 1993, 48 cars had started; after 376 laps and 110,000 spectators, Hélary, Bouchut and Brabham crossed the finishing line on the Sarthe in sunny, hot weather conditions and traveled 5,100 kilometers at a distance of 213.358 kilometers per hour.